Background: Bobolink, a threatened species in Ontario and Canada, breed in hay fields, pastures, and other land cover types that provide grassland-like environments. Many songbird nests fail to fledge young and the frequency of fledging typically varies across land cover types and uses. Additionally, characteristics of fields (e.g., size), field surroundings (e.g., field edges), and landscape characteristics (e.g., percent of nearby forest cover) may influence nest survival because these characteristics can be associated with nest predators, food availability, and other reasons for nest failure. 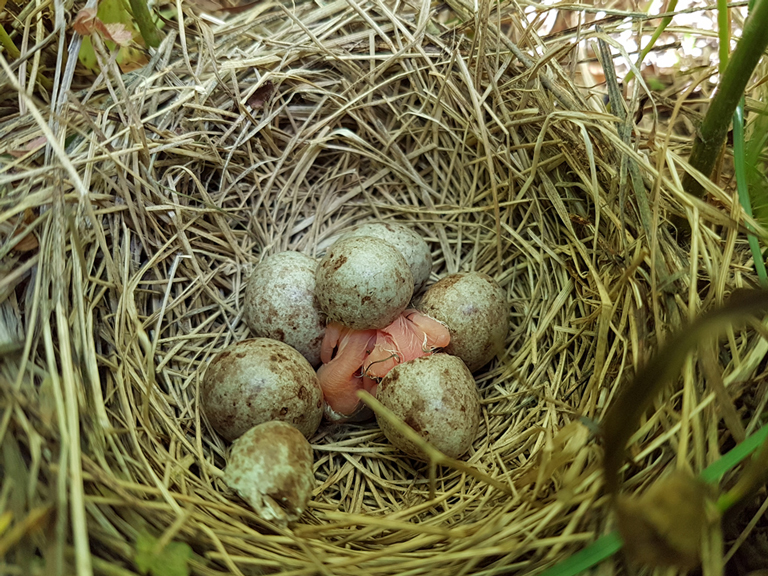 Project work: In collaboration with Professor Erica Nol, graduate student Monica Fromberger, and others in the Nol lab at Trent University, we are studying Bobolink to learn about the environmental conditions that provide the best opportunities for nest success. 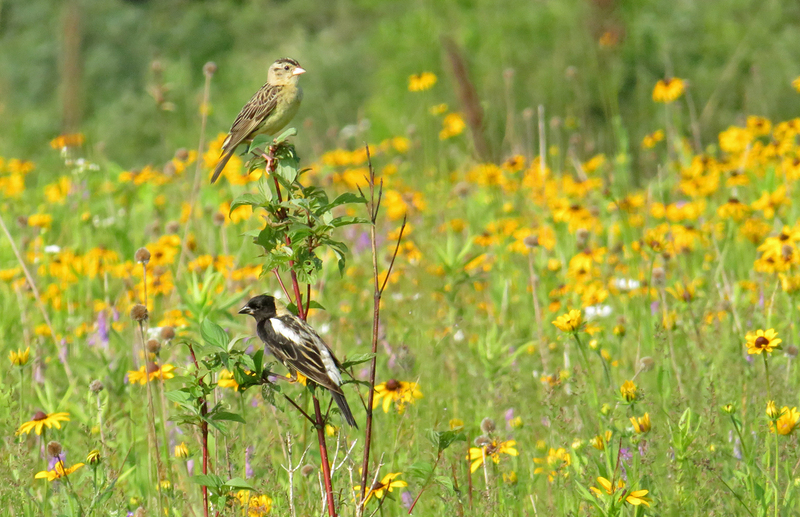 By pooling existing data collected in pastures and hay fields, and monitoring nests during the 2-year project in conditions where data are lacking (i.e., restored grasslands and fallow fields), we will be able to model Bobolink nest survival across typical environmental conditions on farms and conservation lands. 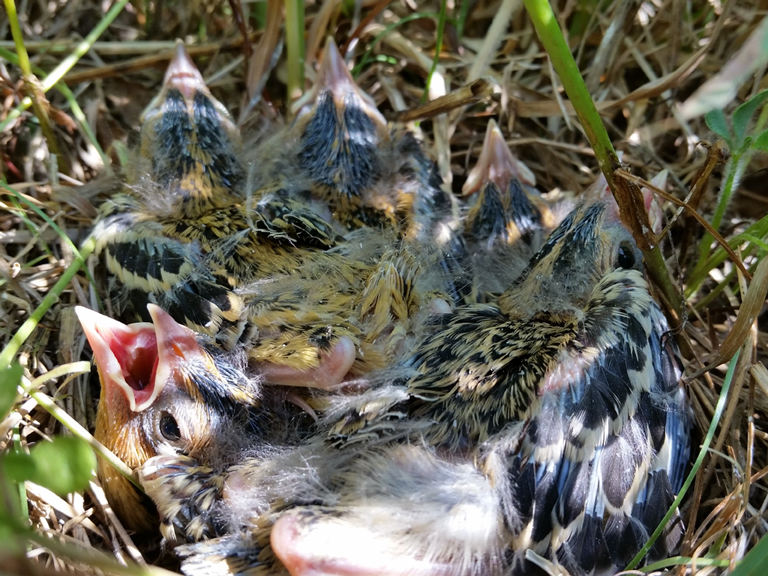 Conservation implications: Our results should identify conditions associated with high nest survival, thus providing important information about the types and locations of future conservation efforts that could have the greatest positive impacts for nesting Bobolink. This project is a collaboration with Trent University. Funding: Support for this project was provided by the Government of Ontario, Mitacs, Echo Foundation, the CICan Natural Resources Internships program, and individual donors.